We continued our exploration of locations with a wet Thursday evening stroll from Vauxhall to Camberwell in February 2018. We started off in the Black Dog on Vauxhall Walk. Well, three of us did. Bez assumed the Black Dog meant the Black Prince in Kennington. A furious Boris bike ride later and we were up to full strength. With the whole pub booked out for a works do, we made it a swift one although we did have the pleasure of bumping into Cola, who didn't seem to believe us when we said we were out for an evening of serious business planning. The Black Dog was close to a couple of empty retail units in Vauxhall that looked like they could fit the bill. Small and cheap, with asking prices of £9,000 a year and £11,000 a year rent, we wandered over for a look. Both however were deep in the middle of housing estates, far from main roads with little prospect for much footfall it seemed. With neither worth pursuing, we set off for Camberwell and to explore what was on the way. 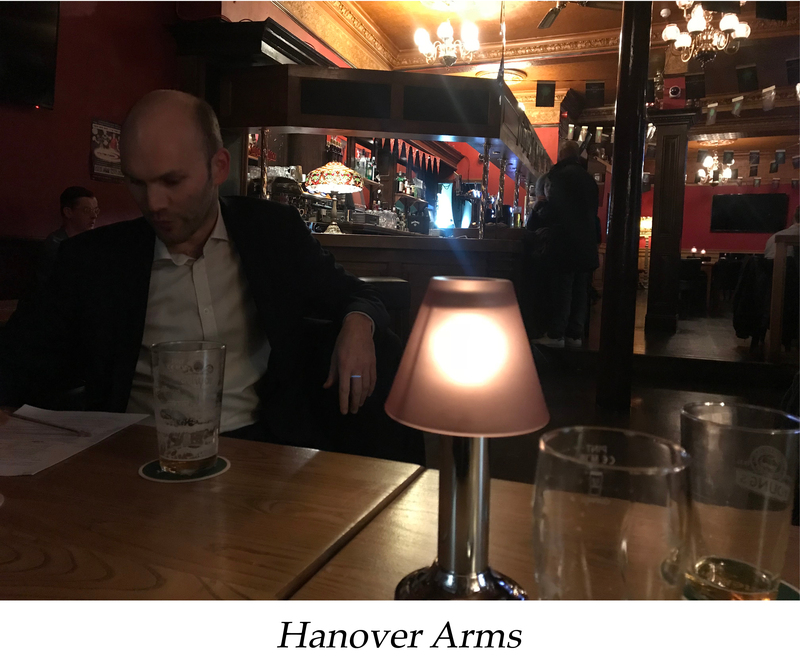 Settling in with pints of Guinness in the Hanover Arms near Oval tube station, we went over the premises criteria we had agreed at the Marshes the previous month. With our earlier foray in mind, the number one consideration we agreed should be the local amenties. A good selection of nearby local shops, a small high street ideally, will drive the footfall and community such that a pub can feel it is truly 'somewhere'. We want to be part of an area rather than just a destination or workers pub, somewhere that brings in locals. 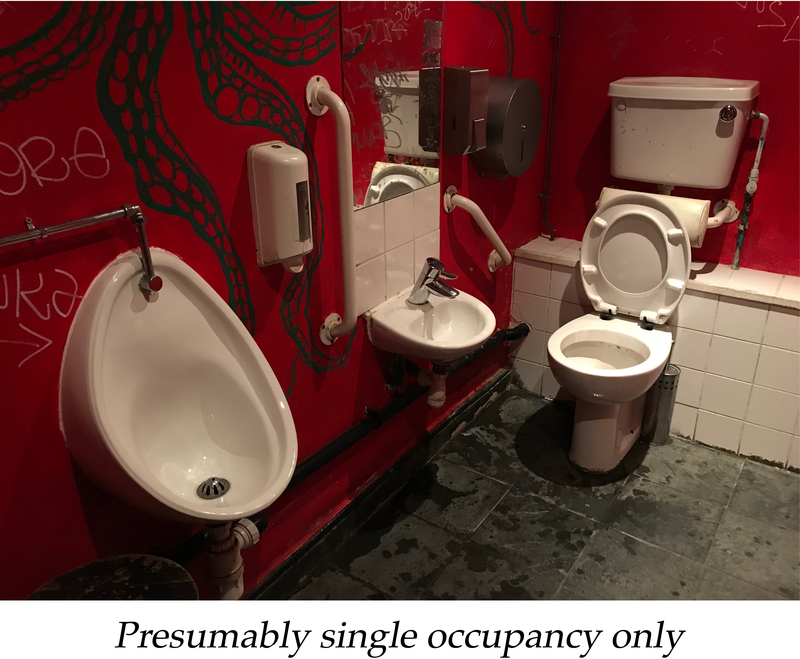 The size and shape of the premises are obviously important too. We agreed an upper limit on the premises search of 800 square feet in terms of floorspace. This would help narrow down the searches on the various commercial property websites we were looking on. We pushed on down Camberwell New Road, aware that along it there had been a couple of empty shops on the market in recent months. But while a busy road, we weren't sure there would be enough demand for the micropub along the middle stretch, given the presence of a number of pubs already and the lack of a nearby train/tube station. After a solid burger in the Tiger, we pitched up in the Hermit's Cave, rightly a local institution, where we were pleased to see Hophead on cask. A buzzing atmosphere with a wide range of people in there, we all agreed it was a proper pub. Discussion now turned to the interminable question of staffing. But with Bez confirming he was happy in principle to dedicate three out of four weekends to the pub, we had a solution (finally). Next up was Stormbird, a mecca for beer and serving a younger clientele than the Hermit's Cave (both pubs have the same owner). Although there is a vast and fantastic range of keg and bottled beers to tempt you, you can't say no to £3 a pint for cask. 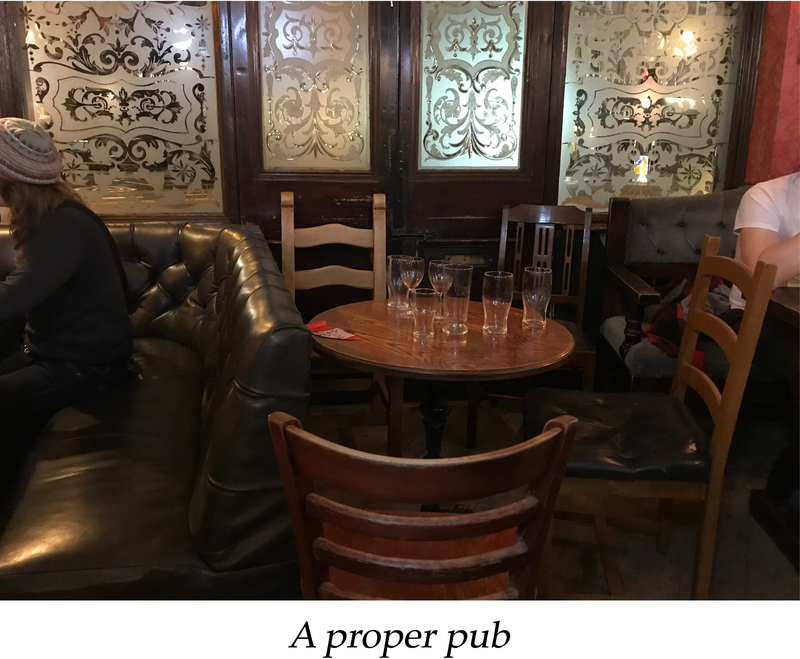 And so it was over pints of Siren's Yulu Loose Leaf Pale Ale and Saltaire's Pride that we divvied up the next tasks: Bez and Dave to investigate the planning and licensing process, Stockers and I to look at how much it will cost to physically turn a former shop into a pub. With shop talk over, Dave headed home and we just had time to stop in the Old Dispensary for a Guinness and consider the merits of a new contender for our favourite pub toilet. It might not be quite the right place for our pub, but Camberwell's a cracking evening out. Postscript September 2018: that final conclusion has obviously held up well... In my defence, the only concern was about how convenient it was for Dave to get there and back from his home in Kent House. But when he decided that his trip home that evening hadn't actually been that bad, it was game on. A big evening for empty commercial real estate as we investigate premises in Elephant & Castle, Loughborough Junction and Brixton.